We were recently introduced to a brand new product range called Neutral 0% which has just been launched in the UK and is specifically designed for those with sensitive skin. I don't have sensitive skin but I do have a new baby and luckily for us the range includes baby products which are just perfect for baby's soft, delicate skin. Neutral 0% were first launched in Denmark and they have been working with the Danish Asthma and Allergy Association for over 25 years to develop clean mild products for sensitive skin. A complete product range including home, baby and skin products is now available to UK shoppers via their website. 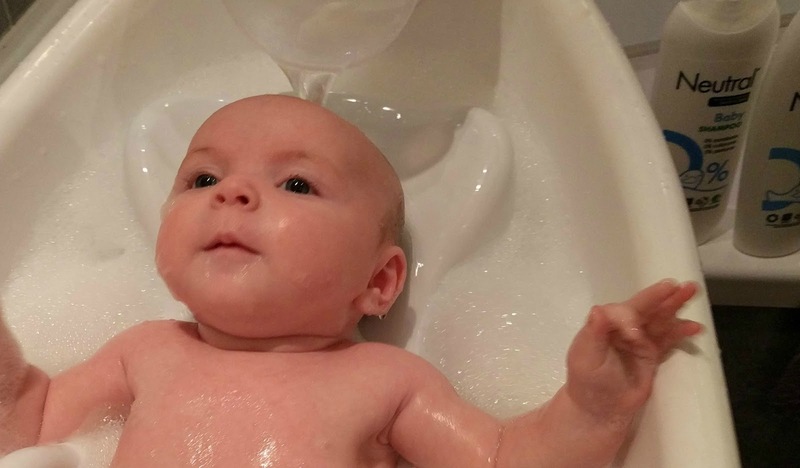 Erin is only 7 weeks old and she has very dry skin which is very common in newborn babies. I've been reluctant to use too many products on her as some baby body washes can actually be quite harsh on delicate skin but I was intrigued to see if the Neutral Baby Bath & Wash gel would improve the dryness. The Bath & Wash gel (250ml £7.49) is a mild product which contains 0% perfume or colourants. We only needed to use a small amount for it to create a decent amount of bubbles and when used on Erin's skin it was really easy to lather up. It left her skin feeling lovely and soft and in the week we have been using the product her dry skin does appear to be clearing up. Chilling out at bath time! Much like the Bath & Wash gel, the shampoo (250ml £6.99) contains 0% perfume or colourants. I was really pleased to be using such a gentle product on Erin's hair as she's actually lost most of her hair on top since she was born and I don't want to encourage any further hairloss....she already looks like she'd been taking hair style tips from Terry Nutkins ;) The shampoo left her (remaining) hair feeling really soft and silky. Our last product to try out was the baby wipes. Like most parents, I get through a ton of wipes - I wipe bums, clean mucky faces, clean off dried baby milk from the sofa, remove my make up with them...the list goes on! I've even been known to clean the mud off my boots with a wipe after a particularly wet and muddy visit to the farm! Would the Neutral baby wipes stand the test? My first thoughts were that the wipes were quite dry and not as moist as our usual brand. But they were very soft and perfect for little bums as they contained no nasties. 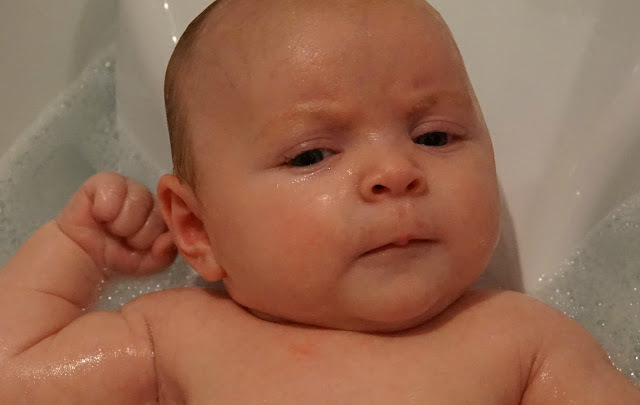 Erin has had a bit of nappy rash since she was born so these wipes are perfect for her sensitive skin and I feel good knowing that the wipes reduce the risk of skin irritation. 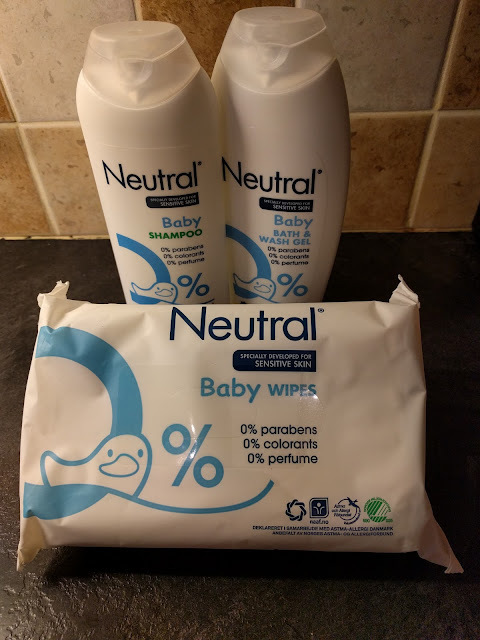 The Neutral 0% range can only be found online at the moment but one great option from their website is a subscription service so you never need to run out of those important wipes! You can pay for a monthly delivery and the longer your subscription, the less money you pay. If you have children you are always going to be using wipes so I think this is such a great idea! If you have sensitive skin, why not check out the Neutral 0% website - look out for offers including bundle buys and free delivery over £25. In this type of events we need best ever products for babies.Here in this site wider Seaside collection are available.look at it and grab the best ever collections seaside color for your babies.